$50This will get us there! A goat can mean everything, even survival, for a refugee family. 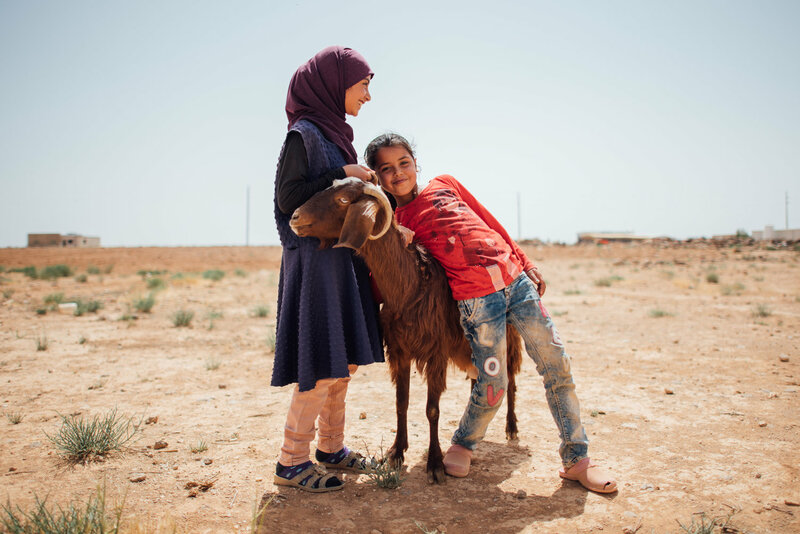 We have purchased and personally distributed 800 goats to 400 Syrian refugee families living on the Jordan/Syria border. Since May 2017, 813 baby goats have been born, creating a thriving micro-economy and sustainable source of food. Thanks to your donation, we will distribute more goats in 2019. Your donation is so very important to this program. Thank you! LIFESTYLE. 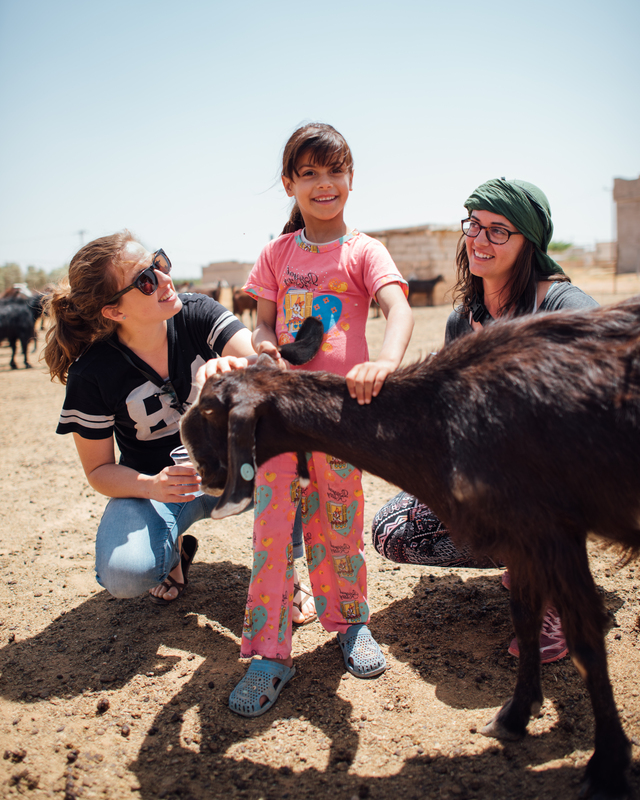 Goats support the Bedouin natural lifestyle that they have enjoyed for centuries. We are providing them with their innate ways of supporting themselves and their families. This also brings psychological support, as it is a returning a piece of normalcy, a piece of familiarity. My nieces and nephews (ages 8 and younger) read “Beatrice’s Goat” and then raised enough money by selling rolls, tomatoes, vacuuming cars, and doing chores to buy an entire goat plus some! I’m so proud of them and glad they could have this chance to work to help others who they don’t even know. Definitely a very meaningful project! !